Hand grabs radishes in slow motion - Stock Footage, Inc. Tags: agriculture, assortment, box, buy, cardboard, cardboard box, close, close up, closeup, colorful, colourful, extreme, extreme close up, food, fresh, grab, green, grocer, grocery, group, hand, health, healthy, ingredient, leaf, lift, market, marketplace, natural, nutrition, price tag, produce, radish, raw, red, root, row, sale, sell, shop, slow-motion, stalk, stall, stand, store, supermarket, take, vegetable, vitamin, zucchini. Extreme close up of a hand grabbing a small bunch of radishes in slow motion. Zucchini and a price tag are visible. Royalty Free Stock Footage of Close up pan across red cherries. Royalty Free Stock Footage of Panning across strawberries. 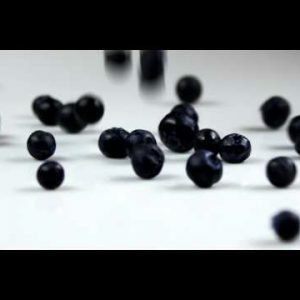 Royalty Free Stock Footage of Blueberries being dropped onto a table.